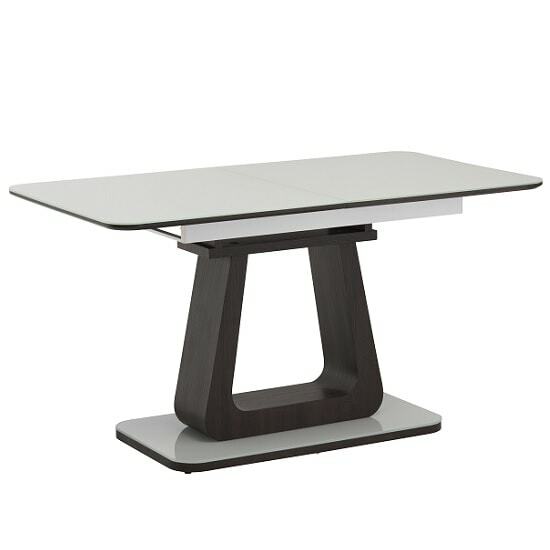 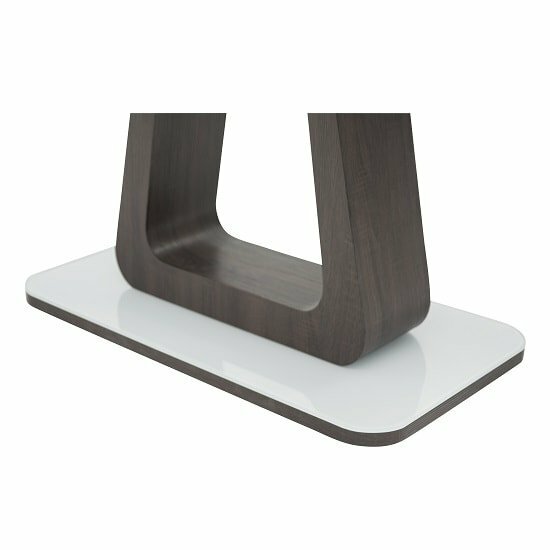 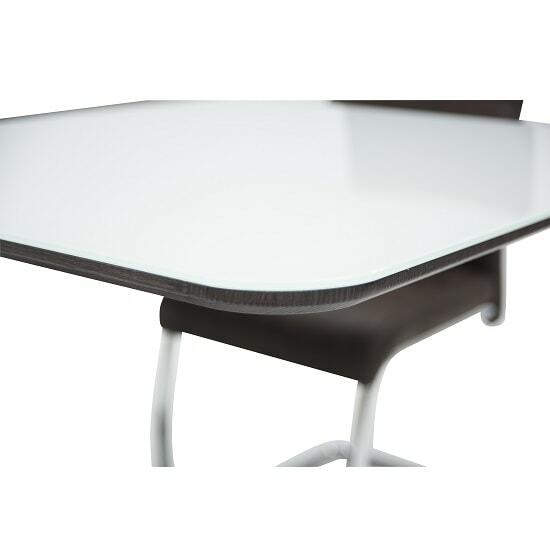 Cannes Extendable Glass Dining Table Rectangular In White With Cocoa Base And 6 Brown Chairs, will look right at home in both traditional and contemporary settings. 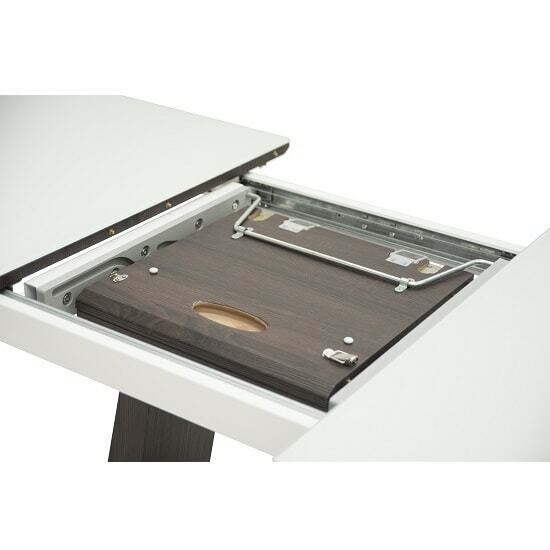 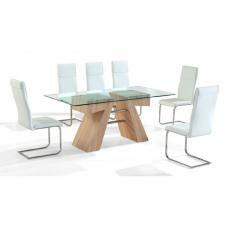 Manufactured using white glass with cocoa coloured inset and base. 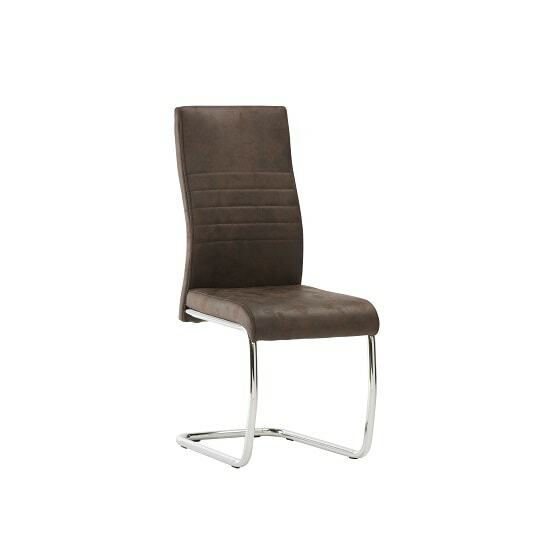 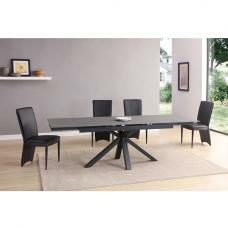 It features an extension leaf of 40cm in Cocoa coloured, which turns dining table from 140cm to 180cm. 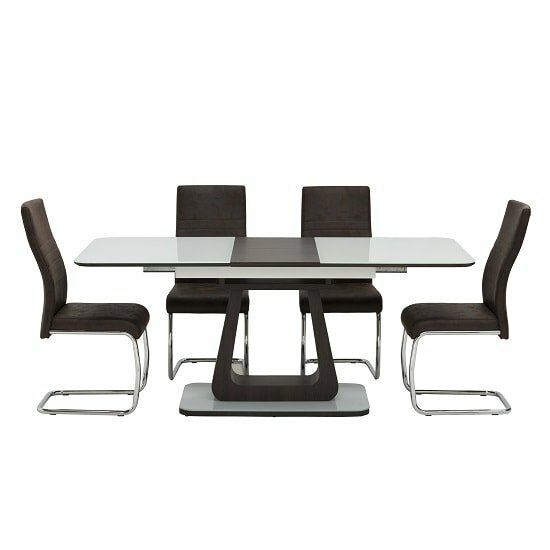 The clean and crisp finish dining table will match nicely with 6 Cannes Dining Chair In Brown Faux Leather With Chrome Base. 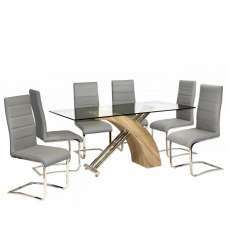 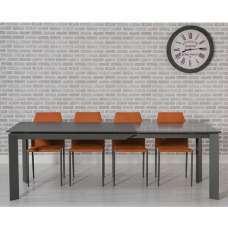 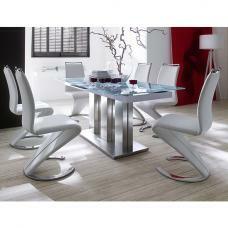 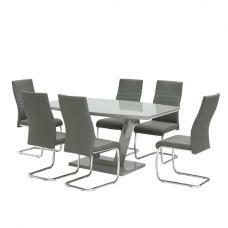 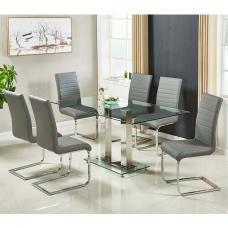 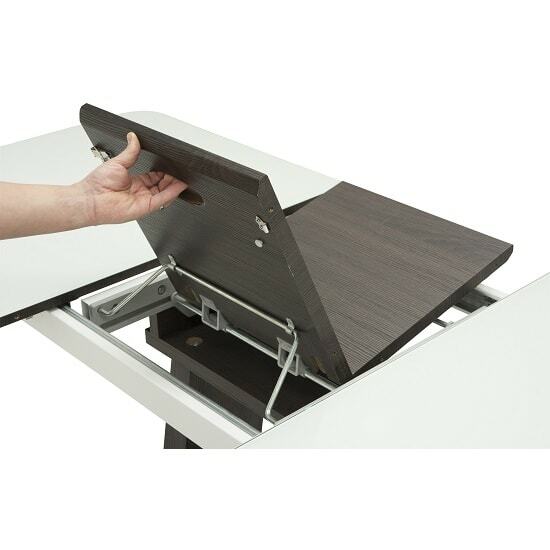 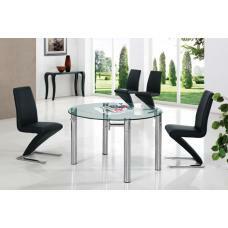 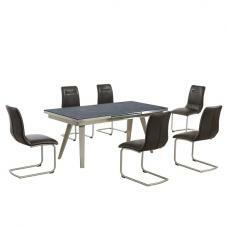 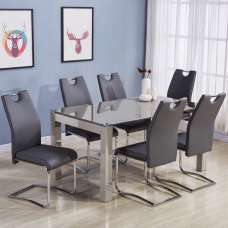 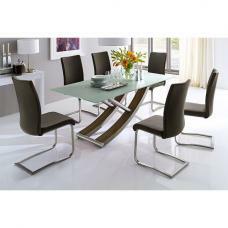 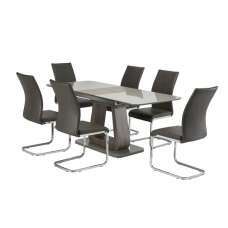 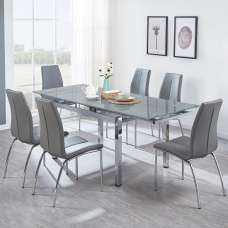 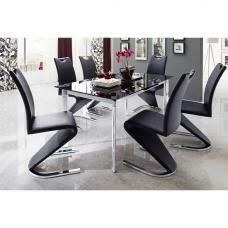 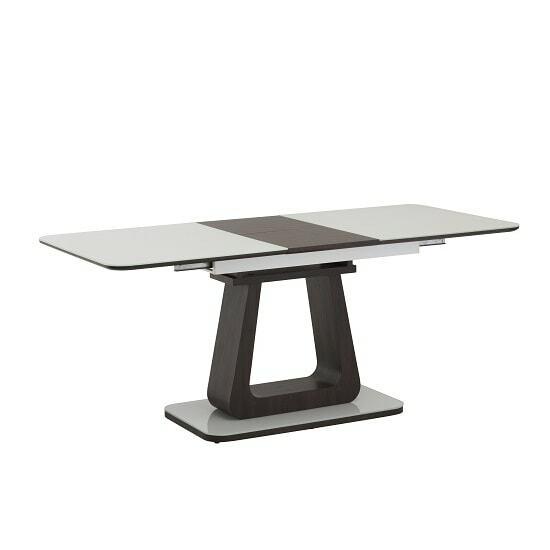 This dining table set is very easy to wipe clean in no times and is perfect for modern dining room. 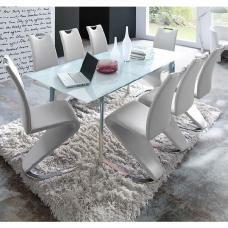 A stunning dining set in white glass with cocoa coloured inset and base.